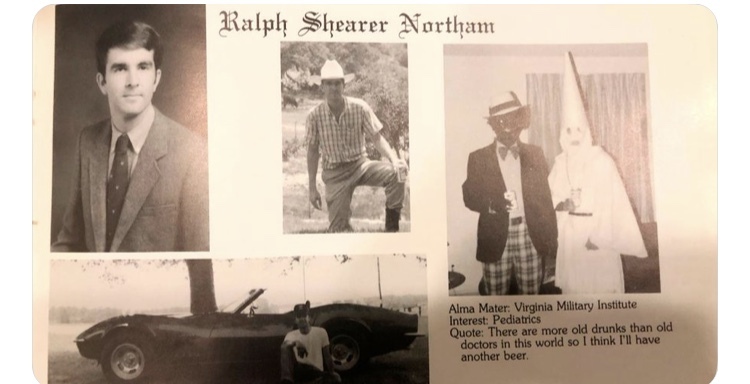 Virginia Governor Ralph Northam is under tremendous pressure from both sides of the aisle to resign after a photo emerged from his 1984 Eastern Virginia Medical School yearbook on Friday, Feb. 1. The photo depicts two men: one in blackface and another dressed in a Klu Klux Klan uniform. “I am deeply sorry for the decision I made to appear as I did in this photo and for the hurt that decision caused then and now,” said Northam in an initial statement on Friday. The photo was first released by Big-League Politics, a far-right news site, and the Virginian-Pilot soon picked up the photograph to confirm its authenticity, which led to an onslaught of national news outlet to follow. In another yearbook of his from the Virginia Military Institute, one of the nicknames listed under his photo is “Coonman,” which is considered to be a racial slur. Multitudes of public officials from both sides have now called for Governor Northam to resign, including former Va. Governor McAuliffe, Democratic National Committee Chairman Tom Perez, the NAACP, the Republican Party of Virginia and House of Representatives Speaker Nancy Pelosi, among others. GMU Dems were strong proponents in campaigning for Northam during his 2017 election, holding phone banks, canvassing across the state and more. 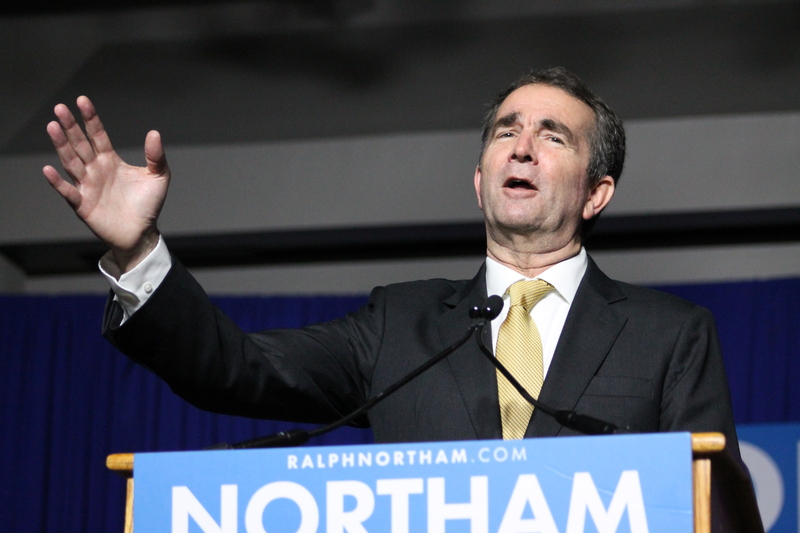 Mason also hosted Northam’s election night victory party in the HUB ballroom. Initial reactions from GMU Dems members were disappointment, sadness and general sentiments of anger. “That was my first election cycle where I was campaigning, so like it was a big deal, [with] me getting experience and being involved in the political field, and as you said I have met him a couple times,” said Ashley Stewart, a conflict analysis and resolution major who was also an intern at the time with GMU Dems. Other GMU Dems members were calling for Northam to be held accountable for his actions, and said this should set a precedent for how we proceed with vetting future elected officials. “I find it incredibly disgusting and offensive that Ralph, who very well knew this was out there, did not disclose this to voters before deciding to run for office, generally let alone before running for [lieutenant governor] then governor,” expressed Andrew Millin, a conflict analysis and resolution major who was the chief of staff of GMU Dems at the time. 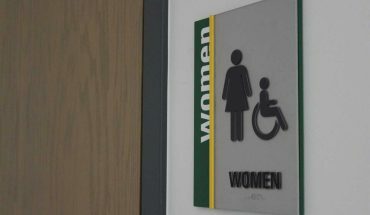 In addition, GMU Dems also discussed how they felt this might affect the Democratic Party of Virginia’s (DPVA) agenda as a whole, including the late-term abortion bill that Northam publicly supported. Fourth Estate also reached out to College Republicans for a comment on the matter, but they did not respond. Northam seemed to go back on his statement from Friday in a press conference on Saturday, Feb. 2 denying any recollection of the image and expressing intent to serve out the rest of his three year term despite calls for his resignation. “It has taken time to make sure that it’s not me, but I’m convinced I’m not on that photo,” he said Saturday morning. Northam went on to say that though he thought the photo was not of him, he does remember a different time where he dressed up in blackface as part of a Michael Jackson costume at a dance contest in San Antonio. Leaders of both sides continued to request his immediate resignation following the press conference. If Northam were to step down, then his lieutenant governor Justin Fairfax would take his place, becoming only Virginia’s second African-American governor in history. “You want to feel honored and proud of the people that are serving you, and I don’t feel that right now,” said Stewart about Northam.